During China’s Three Kingdoms period (220–280 B.C. ), there was a renowned physician of traditional Chinese medicine named Dong Feng. Often when people sought him out for medical advice and treatment, he treated them with concoctions made from apricots. While he never asked for recompense, he required that his patients plant apricot trees in Mt. Lu—five trees for patients with a severe disease and one for those whose conditions were mild. In a few years, there were thousands of apricot trees growing all over the mountain. It was beautiful and lush, and tigers became regular visitors. Why did Dong Feng make his patients plant so many apricot trees? 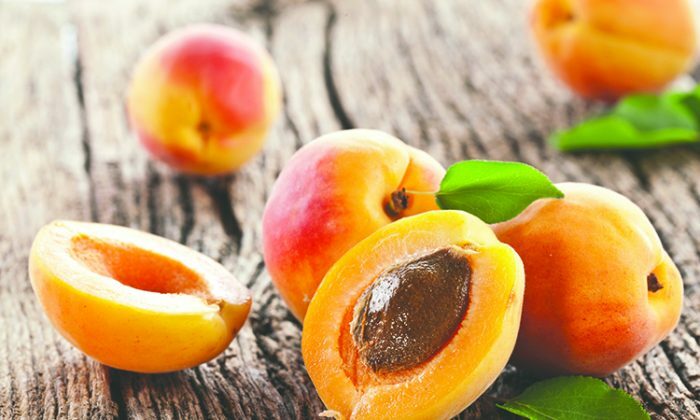 Apricots are a summertime fruit, and the seeds, leaves, branches, bark, and roots can all be used in medical concoctions. The pit, in particular, is commonly used as an expectorant and cough reliever, as well as to ease asthma and moisturize the lungs. Dong Feng made good use of the apricot trees to heal the illnesses of many people without spending a penny. For thousands of years, Dong Feng’s noble medical ethics have served as a model for the medical community. Another Chinese saying, “The apricot trees are guarded by a crouching tiger,” came from the story about an opportunistic young man who once gave only a little rice in exchange for a full basket of apricots. A tiger that was guarding the apricot trees growled and lunged at him when it saw that the young man had picked so many apricots. The young man stumbled and as he ran away, had to leave the apricots that fell from the basket. When he got home, he found that he had the same amount of apricots as the amount of rice he had given away, and he realized that he shouldn’t have coveted more than he was willing to give.